Woolacombe is a seaside resort on the coast of North Devon, England, which lies at the mouth of a valley (or ‘combe’) in the parish of Mortehoe. The beach is 3 miles (4.8 km) long, sandy, gently sloping and faces the Atlantic Ocean near the western limit of the Bristol Channel. 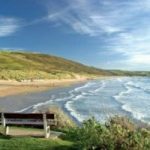 It is a popular destination for surfing and family holidays and is part of the North Devon Coast Area of Outstanding Natural Beauty, which is renowned for its dramatic coastal cliffs and landscape. 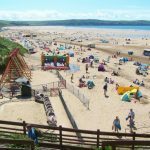 The beach has been managed by Parkin Estates Ltd for over half a century and has over the years continuously been recognised as one of the best beaches in Europe. It won the title of Britain’s Best Beach in the “Coast Magazine Awards 2012” and was awarded the same prize of Britain’s Best Beach in 2015 by TripAdvisor, also ranking in their polls as 4th in Europe and 13th best in the world. Due to Atlantic waves, the swell is at somewhat large and very clean making it a great benefit for surfing. Right across from the beach, there are panoramic views of Lundy Island. Woolacombe has the benefit of low cliffs at either end of the beach which are home to the rare maritime heathland as well as sand dunes behind the beach. Much of the countryside close to the village is owned and cared for by the National Trust. The coast itself is part of the North Devon Voluntary Marine Conservation Area because of its diverse and rare species. The main way to get to Woolacombe is by road. During the summer the roads, which are largely very rural and quite narrow, can become very congested as people queue up to get into one of the two large car parks which are situated close to the beach. This flat benefits from it’s own allocated parking space. 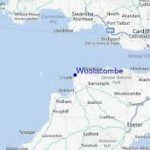 A bus service runs from the village to Barnstaple, Ilfracombe, Combe Martin and Mortehoe. 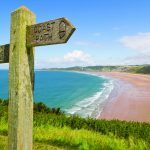 The South West Coast Path runs through the village, and gives access to the spectacular North Devon coast, with the walk out to and around Morte Point being particularly popular. There are several establishments in the area that provide opportunities for pony trekking. Some offer experienced riders the chance to ride along Woolacombe Sands.